Huawei doesn't not mention it, but perhaps it should. 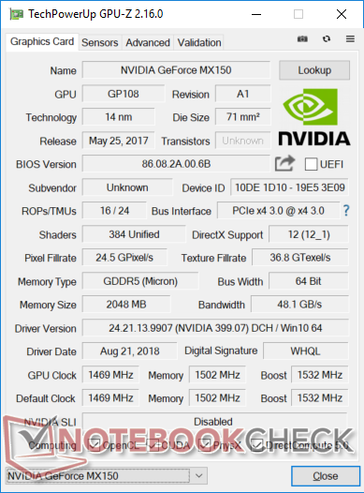 The OEM is quietly slipping the faster 25 W version of the GeForce MX150 into its upcoming mid-tier Ultrabook whereas most competitors are using the much slower 10 W version. 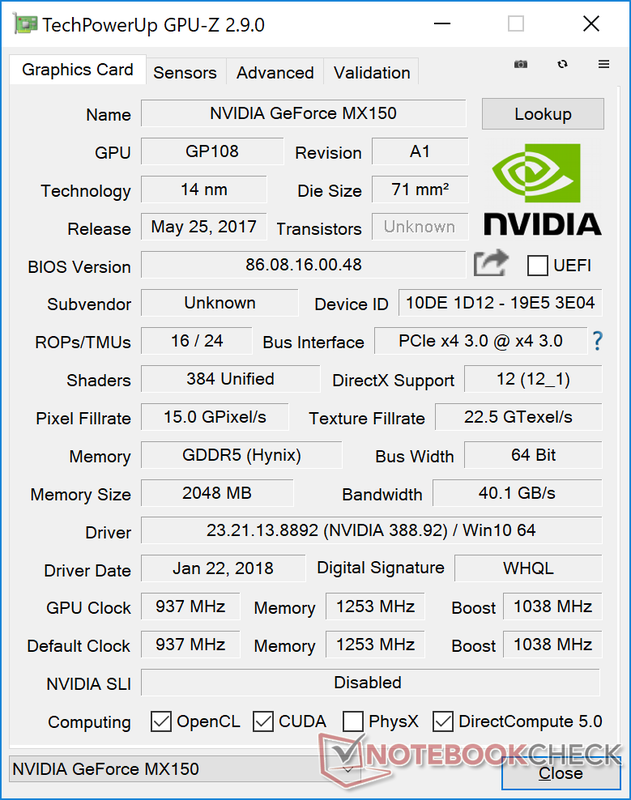 Even the pricier MateBook X Pro uses the slower 10 W GeForce MX150. The MateBook X Pro launched early last year as Huawei's top-tier offering. It subsequently received overwhelmingly positive reviews from press even though it uses the slower 10 W '1D12' GeForce MX150 GPU instead of the faster 25 W '1D10' version. 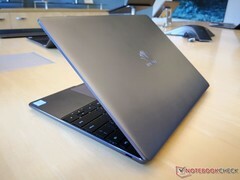 When Huawei announced the mid-tier MateBook 13 at CES 2019, we assumed it would sport the same 10 W '1D12' GPU as its pricier alternative. Surprisingly, Huawei has thrown us a curve a ball. We can confirm that the MateBook 13 ships with the faster 25 W '1D10' GeForce MX150 GPU instead of the slower '1D12' version. Our GPU-Z screenshots below show the MX150 in the MateBook 13 running at faster base clock rates, faster memory clock rates, and faster boost rates by significant margins over the slower GPU in last year's MateBook X Pro. The performance gain is expected to be greater than 30 percent based on our experience with the new Razer Blade Stealth which also utilizes a '1D10' GeForce MX150 GPU. 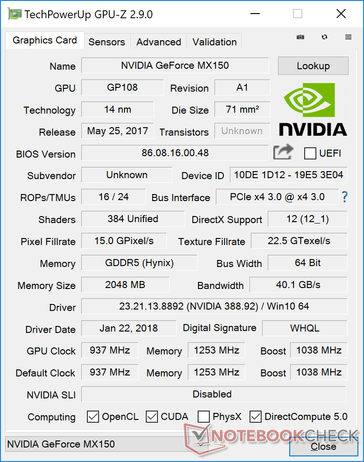 VRAM, however, remains identical to the MateBook X Pro at 2 GB GDDR5 instead of 4 GB GDDR5 as found on the aforementioned Blade Stealth. The GPU swap is notable because the MateBook 13 was designed to be the mid-range option between the entry-level MateBook D and flagship MateBook X Pro. Huawei's new laptop now has a very good chance of outperforming even the more expensive MateBook X Pro. Expect our full review on the MateBook 13 in the coming weeks. Huawei will launch the model in the United States before the end of this month for a starting price of $999 USD.